Need some incentive to get out and explore? The Redwing 50 can easily carry all your traveling essentials whether you’re wandering in the city or trekking through the woods. Convenient top and side-loading panels give you easy access to all your gear. You’ll also be super comfortable thanks to LightBeam™ aluminum suspension that’s designed to balance the load, and totally cool in any environment with a ventilated airflow back panel. 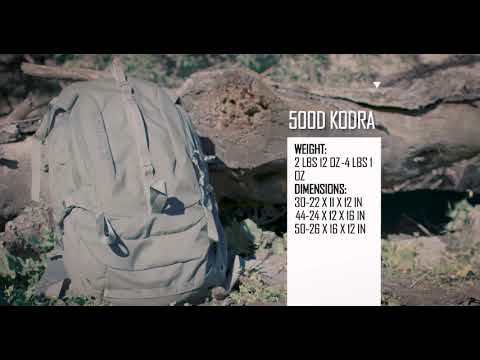 This Kelty Built multi-use pack can blend in anywhere… now get up and go! I'm sorry how much ??? Noticed This bag is $500 bucks...been that way 2 years? Please tell me who has purchased this? Why so expensive? Is it a special edition or something? I own this very same bag in black, and I believe I paid about $160 for it. All the Redwing 50s available now look different though, with a front attachment like more traditional outdoor backpacks. But I can't understand why this one is priced so high on the Kelty Site. This seems a bit steep. Why?